Stoneleaf is committed to maintaining the highest quality and standards. We are high end custom Home Builders, General Contractors and Renovation Specialists serving the Dutchess, Westchester, Litchfield & Fairfield Counties. Throughout the years our dedicated team of employees has established an advanced set of building criteria, skills and provides detailed communication on every job, With over 40 years of experience spanning 2 generations. For these reasons discerning homeowners and leading architects have come to rely on Stoneleaf for distinctive building quality. Mark Olson and his company Olson Development have been building Modern Farm Houses, and Gentlemen's farms, of the late, mixing cool contemporary looks and matching your home, barn, pool house and out buildings. His expertise is helping you to plan out your project. How do you stay on budget and still have the high end architecture that your eye craves. Mark also offers Homeowner Representation. Mark has worked with many of the great Architects in Fairfield County, CT throughout his 34 year career. Many of Mark s projects are waterfront homes in Greenwich, CT and Westport CT. Mark's company has become very diverse in all Architectural Styles and is especially talented in the extreme, contemporary building elements. Mark loves modern and contemporary elements incorporated into his own designs. Argus Development specializes in architecturally unique, custom new home construction in Greenwich, CT.
Old world craftsmanship built by decades of expertise. The team at Signature Home Builders, led by award winning builder, Jonathan Cantor, will work with you to build your dream home with your specific needs in mind. The precision and detail of the home will cater to your style and functional needs. Growing up in a family with more than fifty (50) years of experience in the real estate business, Jonathan S. Cantor, President of Signature Home Builders knew at an early age that he wanted to be a builder. So after graduating from Ithaca College, he went into the construction and management business to hone his skills. Since that time he has gained even more valuable experience and know how being involved in every aspect of custom home construction. In 2004, Signature Home Builders was voted New Jersey Builder of the Year. Signature Home Builders has a simple and direct approach in its concept and planning. It is our desire to provide an alternative to the production home built today, using a "hands on" approach allowing each buyer the opportunity to personalize their home by incorporating their specific needs. We strive for quality and professionalism in each phase of the home buying process from the sales team through the building process. Signature is committed to the timely delivery of each home, using quality materials and labor in order to create a pleasurable experience to be passed on to friends and family. Customer satisfaction is our # I goal. All homes are scrutinized down to the last detail. A home built by us has to be good because it carries our "SIGNATURE." Fp building and Remodeling Group LLC. FP Building And Remodeling Group is Owned and managed by Francis and Genevieve Padin . Francis born and raised in Bridgeport, CT. and Genevieve born and raised in New Rochelle NY. both by Hard working mothers raising children and instilling education, work ethic and dedication and values in family and creating long lasting bonds in the comunity. Over the last 20 years Francis and Genevieve have been working together on many projects each posessing their own unique qualities that bring a unique set of skills to the company. Prior to FP Building And Remodeling Group, Francis apprenticed for 15 years under some of the best experts in the area. Learning the ins and outs of home remodeling. Upon opening their own business, they offered a variety of services including kitchens, bath, siding, flooring, decks and more. Francis and Genevieve handled every aspect of the job for many years. They now take pride in managing over a team of skilled workers who specialize in multiple fields including electrical, plumbing and HVAC. Francis and Genevieve Padin, married with 20 years together and 5 children, understand the importance of a strong family and work ethic. They treat every project as a unique experience and every customer like a member of their own family. Their business model, based on experiance and loyalty, are what set them apart from other contractors and remodeling Buissinesses in the area. DAVID E. LANOUE, INC. is a Stockbridge, Massachusetts, building and design company of traditionally-trained carpenters and stone masons dedicated to the preservation and restoration of traditional architecture. We are a general contracting company working primarily in Southern Berkshire County in Western Massachusetts. Our company provides clients with complete architectural, engineering, site development and construction services. We also provide after-completion systems monitoring and maintenance schedules. David E. Lanoue, Inc. is a frame-to-finish company allied with some of the best subcontractors in the region, many of whom are multi-talented and real mechanics in the old sense of the word. We specialize in the preservation and restoration of early timber-framed barns and homes. We also build new homes and barns based on traditional construction patterns. Our commitment to saving and moving early timber frame structures and designing barn home conversions reveals beautiful and efficient combinations of traditional methods and modern functions. 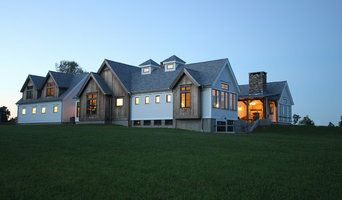 We are able to design, build and transport custom timber frame kits of historic, traditional, hand-hewn timber and joinery as well as new timber frames for houses, barns and specialty projects in other regions of the United States (including New England, the Hudson Valley, Vermont, Connecticut and New York), Canada, and internationally. Also available are our interior and exterior finishing kits. Homeowners who demand the best rely on Jablonski Associates. 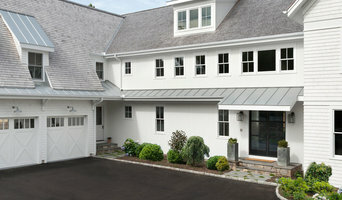 Jablonski Associates is a Connecticut-based, award-winning luxury home builder. With decades of experience and often featured in high-end magazines as well as on TV, the firm is synonymous with timeless and exceptional homes. The firm’s dedication to the highest standards is evident in its work. Employing fine European building traditions, its residences speak for themselves: impeccable quality in every detail, innovative technologies and high energy efficiency solutions. New Homes from 1 Million to 5 Million. Whole Home Renovations and Additions $250,000 to 2 Million. Kitchens; $75,000 to $250,000, Bathroom Renovations $25,000- $150,000. Professional Construction Management: Whether it’s a new home, a historical renovation or an addition, Jablonski Associates employs the same full-service approach. The firm’s principle, Jeremi Jablonski, hand picks a team of experts to handle each project’s unique needs and then oversees all project aspects to ensure a seamless completion. Energy Efficiency: For Jablonski Associates, energy efficiency is on equal par with aesthetics and structure. The firm offers EPA-backed Energy Star Certification, which currently boasts tax incentives but, more importantly, promotes responsible living. Realtors and Architects: Realtors actively consult with Jablonski Associates on potential homes for their clients. The firm expertly identifies renovations’ potentials and challenges and teams with architects to help homeowners realize their dreams. Projects: Jablonski Associates projects are largely located in Fairfield County, but the firm travels to serve its clients. Check out our website: <a rel="nofollow" target="_blank" href="http://www.fletcherdevelopmentllc.com">http://www.fletcherdevelopmentllc.com</a> Fletcher Development is a full service construction company specializing in concept and design, custom new homes, remodels, renovations, additions, and landscape design. We are committed to providing our clients with unwavering quality and craftsmanship in every aspect of home construction, creating low maintenance, high efficiency homes that are aesthetically pleasing, healthy and safe for your family. Fletcher Development offers a full suite of services with ongoing support throughout the building process to bring your project to life. Our focus is exceptional detail, continuous communication and delivering projects on time. 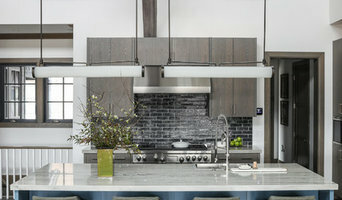 General contractor, homes, remodeling, additions Our family has been building and customizing Connecticut homes for over 35 years. We have been General Contractors and specialize in custom homes and remodeling, including kitchens, baths, siding, roofing, decks and additions in Madison Connecticut.